We don’t have to tell you that teenagers go through a crazy roller coaster of changes. They’ve bid farewell to the “little kid” years and they’re on a quest to find a voice (and, perhaps, the #perfecthashtag). This period of self-discovery is really awesome and we’re all about encouraging individuality. 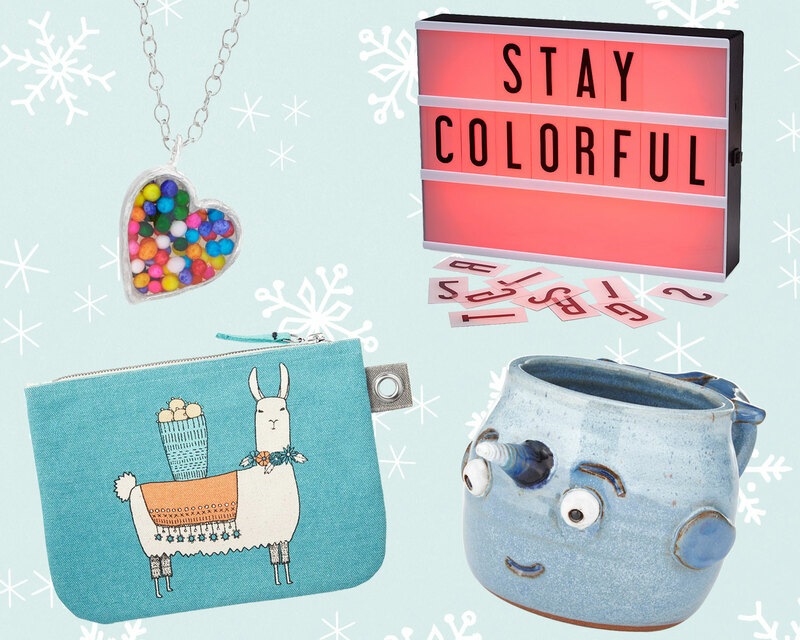 So we hand-selected 20 of our coolest items for the savvy, curious, and fun-loving teens in your life. These gifts aren’t just Instagram-worthy keepsakes, they’re also little stamps of uniqueness during this holiday season and beyond. We know it’s the little things that count, but sometimes you want to show someone you care big. Putting together a DIY gift basket is a great way to combine an assortment of cool little gifts with a whole lot of love. Creating that gift basket around someone’s hobby, favorite food, or most-loved mythical creature adds another level of personalized charm. 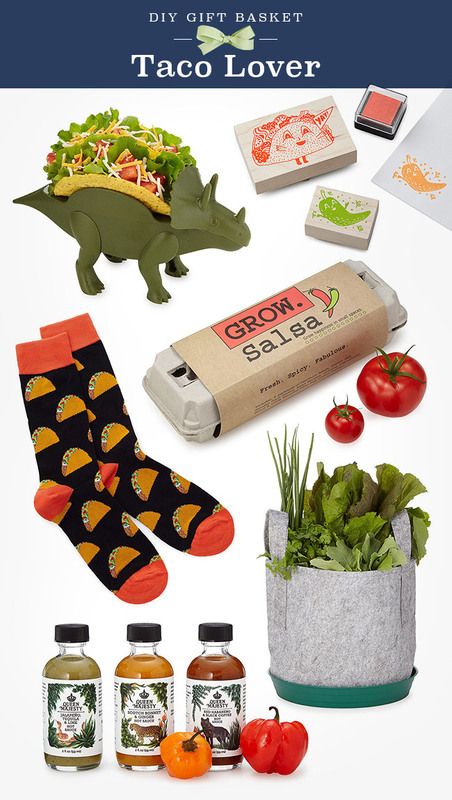 We even included gift basket ideas for kids and teens, because we know they can be even harder to shop for than that unicorn lover on your list. 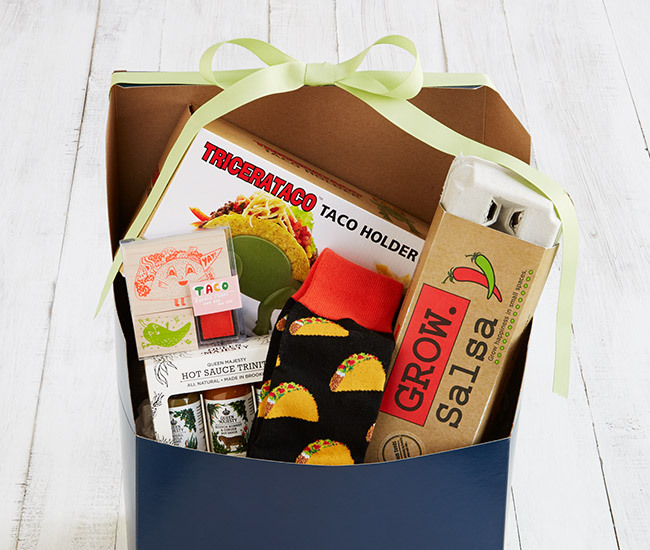 Whether they have a soft spot for soft shells or prefer a crispy crunch, they’ll love these taco-themed goodies. The holiday season is is in full swing, and we’re pouring through our assortment selecting great gifts for everyone on your shopping list! Many of our picks are inspired by our Twitter contest winner, Jodie. She won a $500 UncommonGoods shopping spree earlier this year, and we’ve had a ton of fun helping her choose the perfect gifts for her favorite people. After creating guides for babies and kids based on Jodies’ nephews, age 8 months to 6 years, we realized that although Jodie doesn’t have a teen on her shopping list, many parents, aunts and uncles, and grandparents (to name just a few) do. 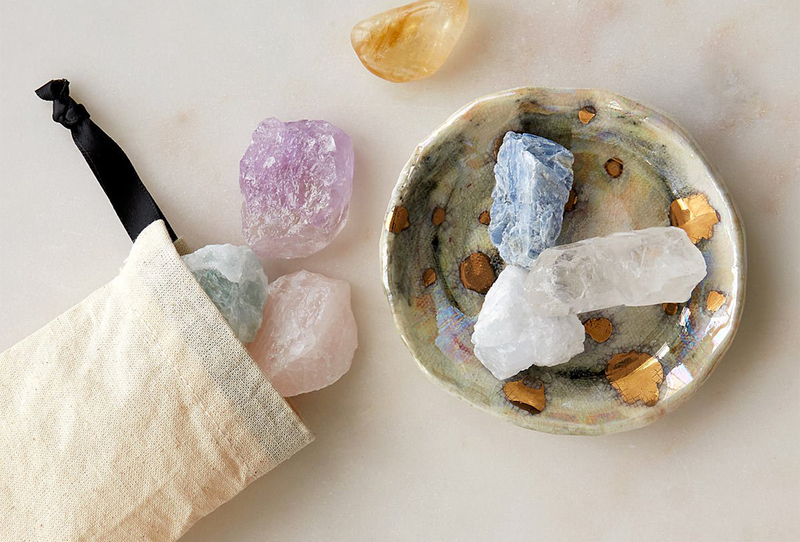 With this in mind, we picked a few of our favorite gifts for teens. Remote Control SUV Kit- It may not be time to hand over the keys to a new car, but you can hand over this cool kit. The Remote Control SUV kit starts out as a puzzle and snaps together to become a motorized vehicle. Bike Bells- A great stocking stuffer, these hand-painted bike bells are functional, funny, and stylish. Guitar String Bracelets- Whether the teen in your life is a musician, music-lover, or just likes to look good, these unisex accessories are chart toppers. Sneaker Customization Kit- Designer shoes are expensive, but this kit, which includes sneaker wipes, paints, and a high-quality paint brush, makes it easy for your favorite teen to create their own. Dancing Lion Speaker- Plug an iPod or another music device up to this lively lion and he dances and sings along. Check out our video to see the King of the Jungle boogy. Recycled Cotton Animal Mittens- Trendy, but still uncommon, these cozy, cute mittens are made from yarn spun from leftover fabric from upholstery factories that would have otherwise been discarded. They’re also available in mink and skunk. Black Cat Headphones- More comfortable than earbuds, these hand-crocheted headphones have a vintage feel that still appeals to modern teens. Big Grips iPad Case- Available in blue or green, these grippy foam covers make your teen’s favorite electronic sidekick easier to hold on to. 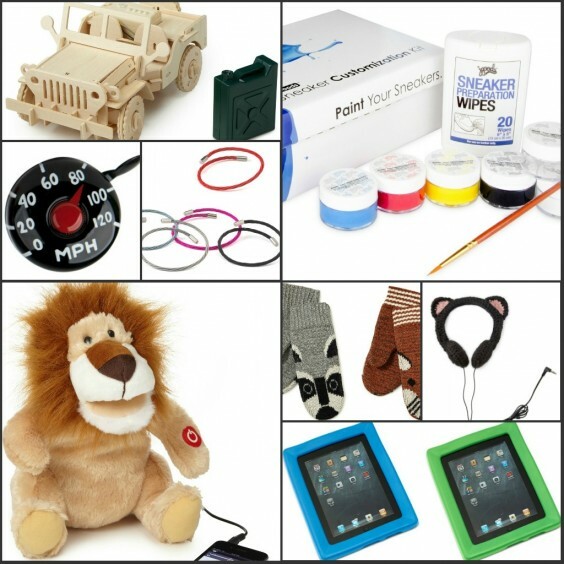 From fashionable accessories and beautiful jewelry to techie gadgets and fun games, we’ve got all kinds of great gifts for teens. 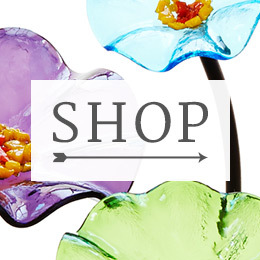 Stay tuned for more gift guides to find perfect presents for everyone in your life this season! 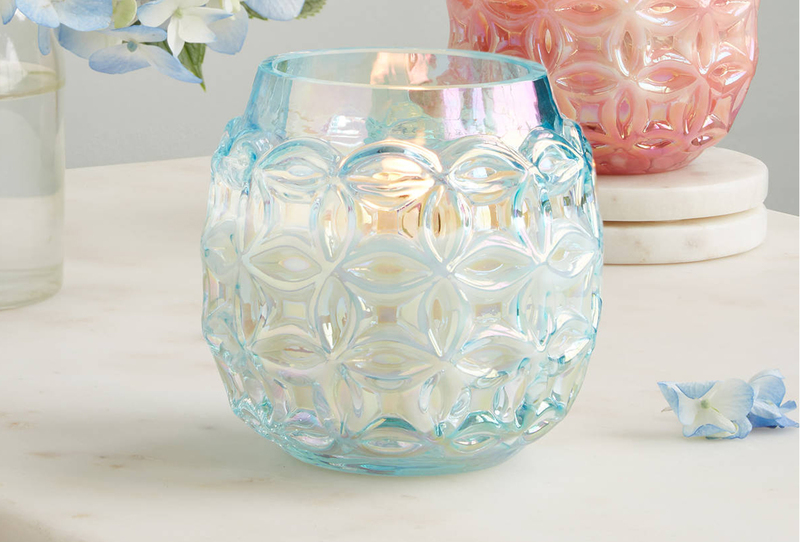 Need a gift recommendation for a hard-to-shop for teen? Leave a comment below.